Devil Tree Rannoch Moor, Glencoe, Scotland. On a desolate expanse of moorland is a single old dead tree which stands like some devilish tuning fork against the elemental forces of nature. 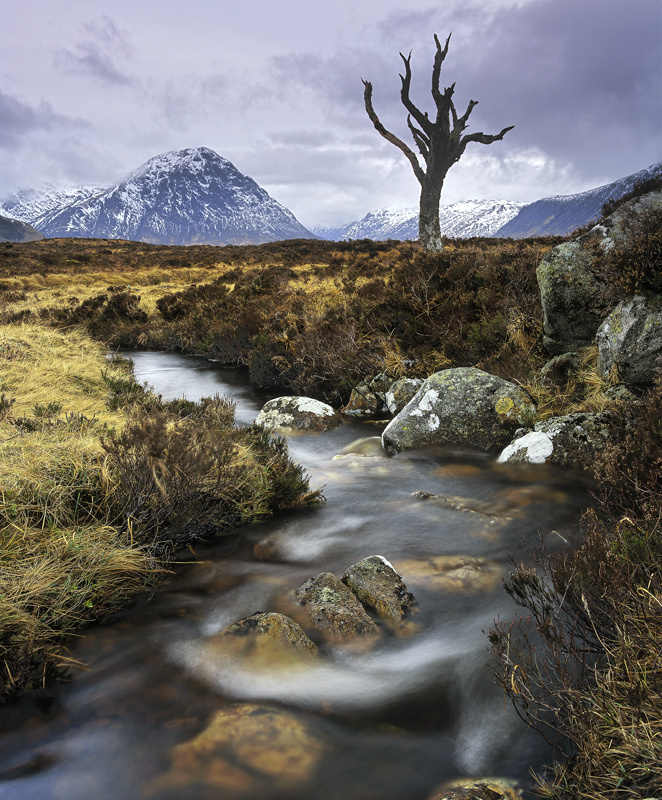 I got down low to the little stream that passes by it and framed it with the Buachaille etive mor loomin grey in the distance beside the black silhouetted tree.